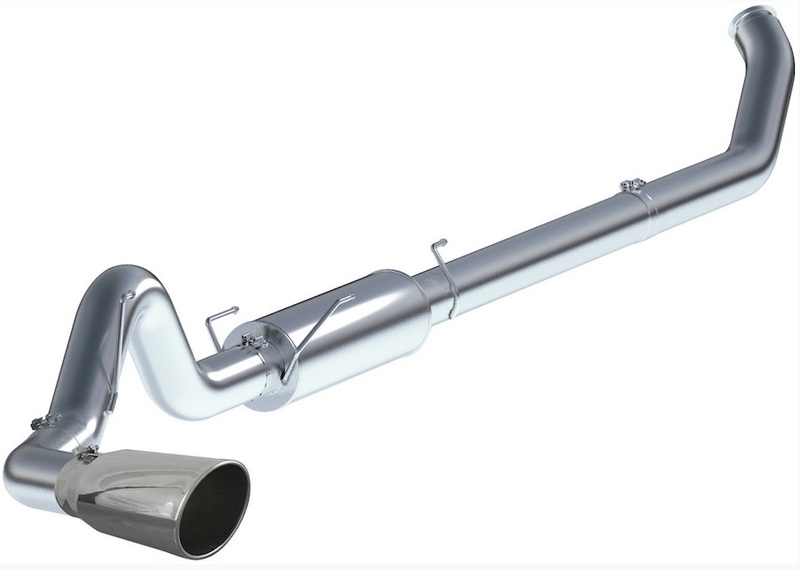 Parley’s Diesel Performance is pleased to announce that AFE has released their stainless steel Catalytic Converter-Back exhaust system for the 2011 Jetta TDI. AFE had previously made available the same style system for the 2011 Golf 2.0L TDI exhaust and all the early reviews on that system have been positive, so we expect good things for 2011 Jetta TDI owners who choose this system to upgrade their cars. The exhaust note is a bit throatier than stock, and the dual 3 inch double-walled polished T-304 Stainless steel tips look really clean and aggressive. The exhaust system is fully mandrel-bent as you would expect, and the hangers line up well for a good clean installation. Many cat-back diesel exhaust systems don’t require any cutting of the stock pipes for installation, but this kit does. It’s impossible to clear the rear axle when removing the OEM exhaust without making the cut. We just wanted you to know. If you’re interested in upgrading the performance of your 2011 Jetta TDI (including Sportwagens), we recommend pairing this TDI exhaust upgrade with AFE’s 2.0L Jetta TDI Intake system and a 2011 TDI Performance Module from Diesel Power. One last note – this exhaust system is legal in all 50 U.S. states because it retains all of your emissions control equipment. As with building up any vehicle for power, Volkswagen TDI performance starts with making the basic modifications first. The VW TDI will get its biggest two gains out of a TDI performance chip or module and out of upgraded injectors. Your average chip or module upgrade will give about a 20% power increase. A tdi injector upgrade usually yields about a 20% gain as well. If the right combination of TDI chip/module and injectors are used, even more will be gained, i.e. (Van Aaken Smartbox & Van Aaken Smart Power Nozzles). Those are the most basic VW TDI performance upgrades. 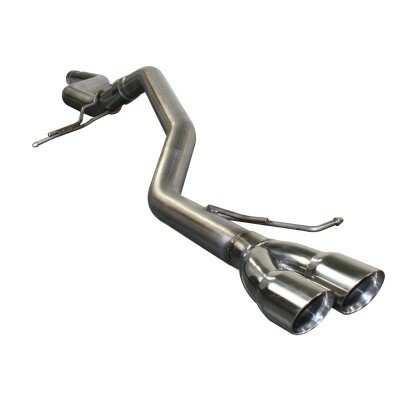 Another basic VW TDI performance modification is the TDI performance exhaust. If you are going to increase fueling you will in turn increase EGT’s (exhaust gas temperatures). So to keep temperatures lower and to help increase performance of the VW TDI even more, one of two things can be done; first, a mufflerectomy can be performed, in which the muffler and resonator are removed and a straight pipe is put in their place. This opens things up a little and removes the baffling of the muffler so that the exhaust can flow more freely. The second TDI exhaust option is the Aero Exhaust turbine muffler. The inner design of Aero Exhaust’s performance muffler works the same as a jet engine to increase the flow of exhaust even more than what a mufflerectomy does. The inner design splits the air via an air foil. The faster air moves through the center and the slower air moves around the outside of the air foil, the slower moving air then re-enters the main air stream through inlets that go down the sides of the mufflers inner cylinder. This recombining creates a vortex that lowers the tone of the exhaust and dramatically reduces back pressure by increasing the flow of all the exhaust that moves through it. Increasing air flow into the engine will help more of the fuel to be combusted and to help extract more power out of each molecule of fuel. Most diesel cold air intakes have a large cone air filter that is able to move up to 300% more air than the stock air intake system. 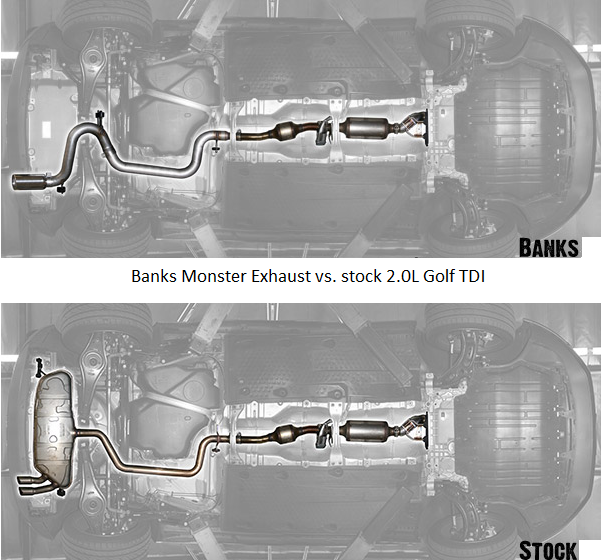 This makes the cold air intake an important part of any VW TDI performance package, sadly though, cold air intakes are not currently made for all the vw tdi models. Another modification that helps with air intake and exhaust is water methanol injection. Water methanol injection is also known as chemical intercooling. It has a three fold effect on the diesel engine. First, it cools the intake charge which provides for more available air intake and the benefits of a higher positive pressure ratio (more power giving fuel can be utilized safely without high combustion temperatures). Two, the combustion of water also adds power. Third, methanol is also a high octane fuel that adds more power. Water methanol injection typically lowers EGT’s by about 200 to 250 degrees on bigger diesels and is slightly under that for the VW TDI. So in conclusion, to be able to build a real beast, the modifications must be made from the ground up. After these mods are made then a bigger turbo and intercooler could be added as well as upgrading the clutch and other components to help hold the added power. Visit Parleys Diesel Performance for all your diesel performance part needs.